Background: Grew up in Bangor, the oldest son of a prominent doctor and community-minded mother and was a college intern for Democratic U.S. Sen. Edmund Muskie. Education: Deerfield Academy (N.H.); Harvard College; Georgetown University School of Law. Career: Associate Director of Office of Management and Budget, 1977-1980; attorney, Cutler & Stanfield, 1988-2000; attorney, Akin Gump, 2000-2009; candidate for governor of Maine, 2010. 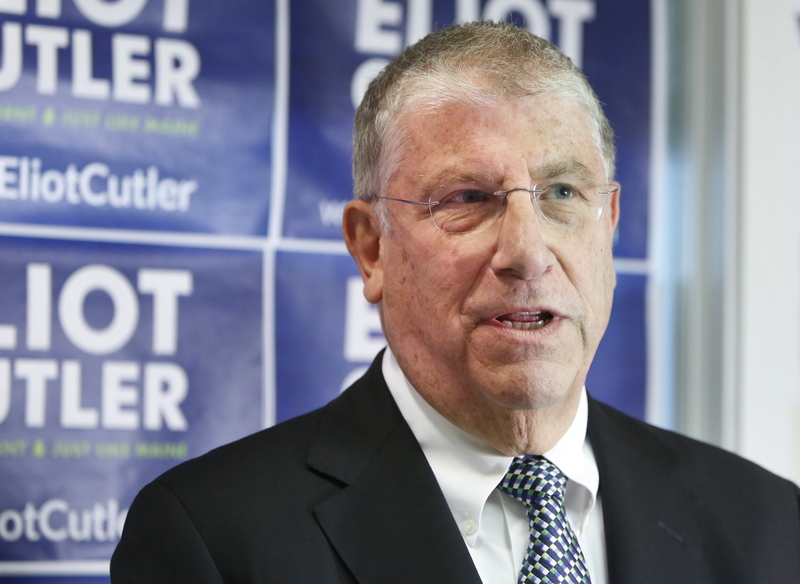 On the Record: Cutler, an independent who wants to shake up the two-party system in Maine, has never been elected to public office but narrowly lost to LePage in the 2010 race for governor. His campaign has been heavy on policy initiatives, most notably a property tax reform plan that would lower property taxes but increase sales tax – the latter, he says, being more easy to export to tourists.